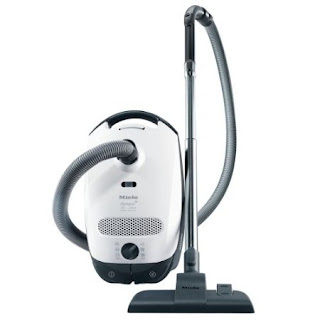 Miele vacuum cleaners are used in homes and businesses worldwide. They are valued for their durability and ease of maintenance. These vacuums are manufactured to stay in working order for twenty years, and Miele is always on hand to help repair a malfunctioning vacuum, making the value of Miele vacuums unbeatable. Carl Miele and Reinhard Zinkann, two German men who had a dream for their company and for their country, founded Miele in 1899. It started off small as a family owned and family run business, specializing in producing appliances like butter churning machines and the earliest versions of washing machines. The company began manufacturing vacuums in 1927. It founded an American branch in 1983 in Somerset, New Jersey, and the Miele brand began to spread and become well-known. Its popularity was due to the high value of its products. Their vacuum cleaners have been especially praised for their dependability, which helped Miele become a household name. Miele's motto, "always better" or "immer besser" in the original German, is a motto they've lived up to by extensively testing their vacuum cleaner models at each stage of production. Parts are put through their paces before being assembled, then complete products are subjected to more testing. The goal is to give Miele vacuums a life of at least 1,000 working hours, thereby earning a reputation for exemplary performance. You may wonder what makes Miele vacuum cleaners so famous. Vacuums under the Miele brand automatically adapt to the surface they are exposed to by changing their suction to the optimal level for particle collection. This is called Automatic setting, and is unique to the Miele brand of vacuums, allowing them to give the best results without the need for manual adjustment. Miele has further increased the ease of use of their vacuum cleaners by installing a power cord retraction system, operated by a foot switch. Miele engineers understand that constantly bending over to adjust settings or to wind a cord, can hurt a users back over time. They've designed their vacuums so they are extremely easy to use by including features other brands consider extra. If you're still having doubts, you should know that the Miele brand of vacuum cleaners are also famous for their powerful motors -- very powerful and at the same time sensibly quiet, too. You won't have to worry about scaring the cat or waking the baby when you use it! The dust bags for these vacuums are made from a fibrous material that traps dust particles, ensuring that they don't get thrown back into the air and leave your floor only moderately clean. The bags, easy to remove and replace, are self-sealing, making Miele vacuum cleaners easy to clean and maintain. All of this is what makes Miele vacuum cleaners leaders in the market. You'll get your money's worth if you purchase one of these. Click here to find out more information about Miele Vacuum Cleaners and Accessories, including Miele Vacuum Parts, Miele Canister Vacuums, Miele Upright Vacuums, and much more. Follow the links to find the best deals from the top online retailers.